If a debt collector is annoying you, he is probably breaking the law. Thanks to the federal Fair Debt Collection Practices Act, you have a right to be treated with respect by debt collectors, even when you do owe them money. If debt collectors are harassing you, I can help you stop them and in many cases even sue them for damages. However, you have to know when they have broken the law. Get the facts here and put an end to the harassment once and for all! Calling repeatedly. This is the most frequent complaint about debt collectors. Once a debt collector’s calls reach the point of becoming annoying or feeling like harassment, you may have a claim against them. There is no set number of “legal” calls, so keep a record of calls you get—including the time, date, and length of call—to present later as evidence of harassment. Threatening serious consequences. Next on the FTC’s complaint list is debt collectors threatening you with a lawsuit, criminal charge, wage garnishment, or any other serious consequence. Most collection agencies do not have the authority to take these actions and are barred from threatening them. Not sending a written notice of debt. A debt collector must send you a written notice verifying the debt within five days of contacting you. Often when they do not, it is because they do not have the information about the debt that they are legally required to have. Revealing debt to a third party. While debt collectors can call your friends and neighbors to try to locate you, they cannot reveal anything about the debt to those third parties. If they do, you can sue them. Calling you at work. If you have told a debt collector not to call you at work and they continue to do so, you can take legal action against them. Using profanity. No matter how much you owe or how long you have owed it, a debt collector cannot verbally abuse you or use profanity or obscene language, even once. If you are mistreated over the phone by a debt collector, put a stop to it immediately. Failing to verify disputed debt. If you do not think you owe the debt you are being called about, you can dispute it in writing. Once you do this, the debt collector must stop contacting you until they can verify the debt. Calling too early in the morning or too late at night. Collectors cannot call you before 8 a.m. or after 9 p.m. If they do this, you can sue them for harassment. Ignoring requests to stop contact. You have the right to request that a collector stop contacting you, even if you do owe the debt, and they must comply. You must submit the request in writing. Threatening violence. Believe it or not, some debt collectors stoop low enough to actually threaten violence against consumers. Unfortunately, this sometimes works. A consumer is so frightened they agree to pay the debt, whether they actually owe it or not. No threat of any kind of violence is allowed by law, and you can take legal action to stop it. When debt collectors engage in these illegal actions, it is often because they are not legitimate collectors—or they are not collecting a legitimate debt. 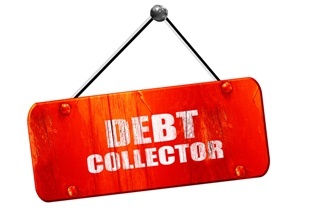 If a debt collector has contacted you, contact me right away. I'm an experienced debt attorney and can help you with the written requests to verify the debt, stop contact, dispute the debt, and more. When a collector goes too far, I can help you not only stop the harassment, but sue the collector for damages. Being in debt does not mean you deserve to be pushed around. Call me directly at 855.982.2400 today to schedule your free consultation. It's time to put a stop to it!